In episode 61 of the Pixar Post Podcast, we share our spoiler-free review of the action-packed, Incredibles 2, as well as dive into the deep topic of John Lasseter's departure from the Walt Disney Company & Pixar at the end of 2018. We talk candidly about our thoughts on John Lasseter's departure from the studio in the first half of the episode, while the back half of the show is our feedback regarding Incredibles 2 (a recording straight outside of the theater with our friend, Giovanni). I know this is going to sound "sales-y", but Incredibles 2 is incredible. It is high-paced from the opening moments of the film and doesn't let up until the final scene — but more importantly, when the film does take breaks from the action, there are also tender moments with important character arcs and big comedic scenes. The film feels very balanced from the story perspective and it is so much more than just a simple role-reversal (i.e., it's not just a Mr. Mom story). The animation is gorgeous (as to be expected) and the direction and layout of the film are stunning. I'll need a few more watches to really let this soak in, but my initial reaction was that the direction is one of Pixar's best — the angles and camera choices paired perfectly with the visuals on the screen. With any sequel, you have a well-defined set of characters that audiences will be expecting a lot from. 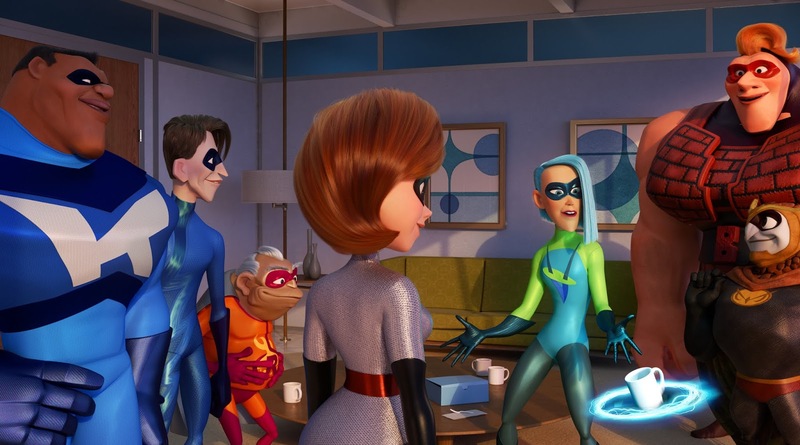 As mentioned above, in addition to the vastly-improved visuals over 14 years of technical advancements, it felt like we were able to see the Parr family as they were intended — with hair rendered to perfection and outfits that popped off the screen. Jack-Jack is a total scene-stealer and definitely generated the most laughs of any character (Dash being a close second). Violet won't let fans down and steps up in a big way to help the family during battles (wait until you hear the sound her forcefields make when she throws them). Another fan-favorite, Frozone, always seems to be there when you need him (well, Honey doesn't think so). He's there to help Bob and Helen realize they need to make a change at the beginning and jumps right in to help with Jack-Jack when Bob is at his wit's end. So, what about the new wannabe supers? They'll certainly leave you wanting more as they don't have a lot of lines or interaction overall — but they certainly take advantage of their screen time when present. Let me also just say that Reflux (the senior-aged super) is my favorite of the bunch — he can often be found resting or holding his belly while cracking an unintended joke. That's not to say the other new characters aren't also great — we describe them in a lot more detail in the episode (player above). The Screenslaver is also another superb character who "could" cause young viewers to get a little scared (Film is rated PG). The action when he's on screen really captivated us and you even get a few Bane vibes (Batman) when he gives a hypnotizing monologue. Is he on the same level as Syndrome? You'll have to wait and see. We have so much more to say in our podcast — check it out above and let us know your thoughts. Leave a comment below or chat about Incredibles 2 with other Pixar fans in the Pixar Post Forum dedicated to the film. 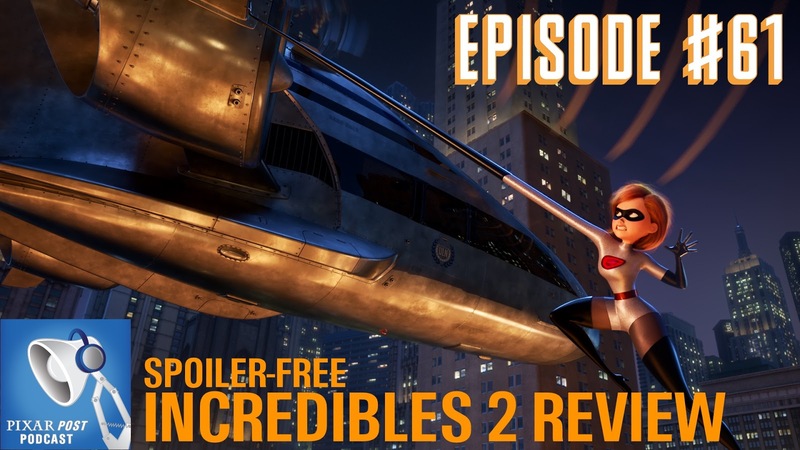 In Episode 61 of the Pixar Post Podcast we dive into our spoiler-free review of Incredibles 2. We also talk about the recent announcement of John Lasseter leaving Pixar due to mis-steps.